Rachel Notley's plan to expand $25-a-day child care all across Alberta is a big win for families, but it's also backed up by sound economics. The Conference Board of Canada estimates that every dollar invested in child care gets a $2 return. 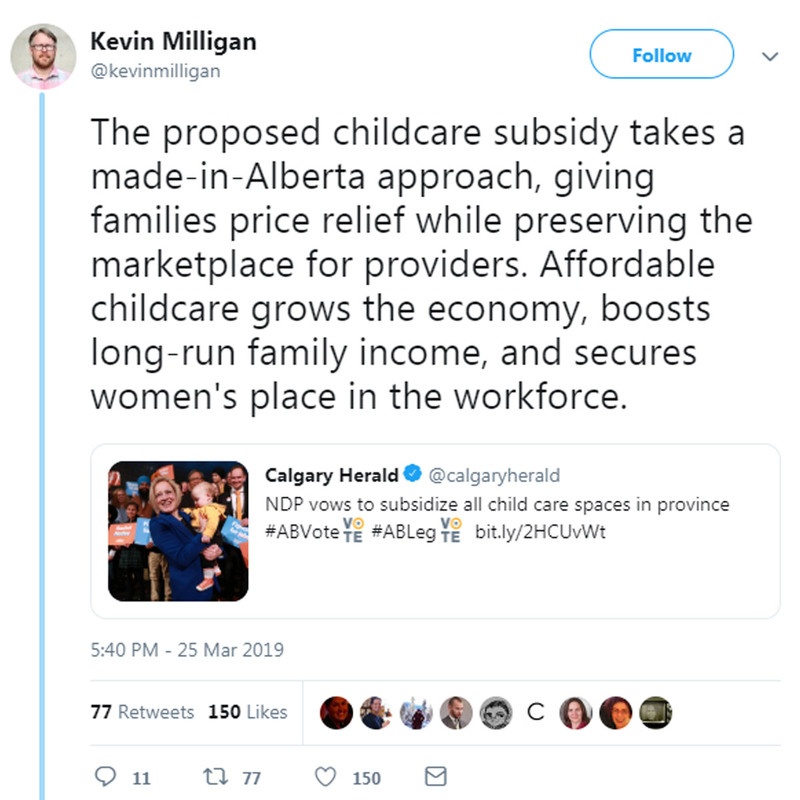 Alberta's lack of affordable child care isn't just hard on families trying to make ends meet, it leads to lower productivity and fewer career opportunities, especially for women. Rachel's plan will unlock Alberta's economic potential by helping more women enter the workforce. That's good for productivity and growth. Period. That's good economic policy.